It has been almost 2 years since I had the idea to start this website and jot down my thoughts as I delved deeper into the cryptocurrency world and I am grateful for all the amazing friends I have made and the opportunities that have come my way. I started off with the goal of helping as many people understand Bitcoin & cryptocurrencies as I could and went from writing a few articles, to helping with blockchain projects, to now with my own Youtube channel where we have a lot of fun covering the cryptocurrency market. I recently I was asked to be a part of a brand new adventure in the crypto world and I wanted to share it! Community building is something I have always been pretty big on and that goes double for crypto. Over the last year or so I have been networking my arse off and have met some really amazing people at conferences, meetups, parties and more. I met the Satoshi Droppers earlier this year at a local meetup held by my friend CryptoWendyO and we all had a great time talking crypto. I became an official "Satoshi Dropper" not long after and have been part of #CryptoTwitter's best crypto group ever since. Here I am in my sweet new Satoshi Droppers t-shirt by HODL CRYPTO (yet another Dropper!). The Satoshi Droppers are a collective group of crypto creators, content producers, advocates, meme makers, chartists, comedians and more. We LOVE spreading a message of crypto community and even have our own TRX "SatoshiDroppers" token ($ANDY) as a fun way of showing & rewarding your #ProofOfCommunity. We have had some great times together as a crew, and while not every Satoshi Dropper lives in the SoCal area (its an amazing group of individuals from around the world really! ), all the local Droppers meet up and talk crypto often. Recently ProducerBTW of the Coin Boys Podcast hit many of us up about being part of a new 24/7 crypto news & entertainment OTT TV channel called CryptoCake TV that was in the works locally. 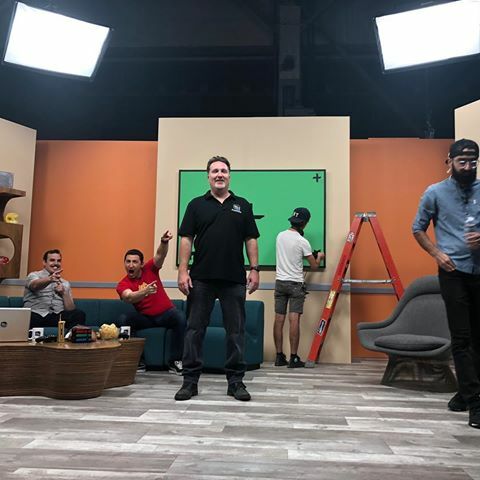 It seemed as soon as I said yes to being interested in hearing more I was already at the studio shooting the promo reels for the new crypto TV show I was going to be co-hosting with my good buddy and fellow Satoshi Dropper CryptoSanity. 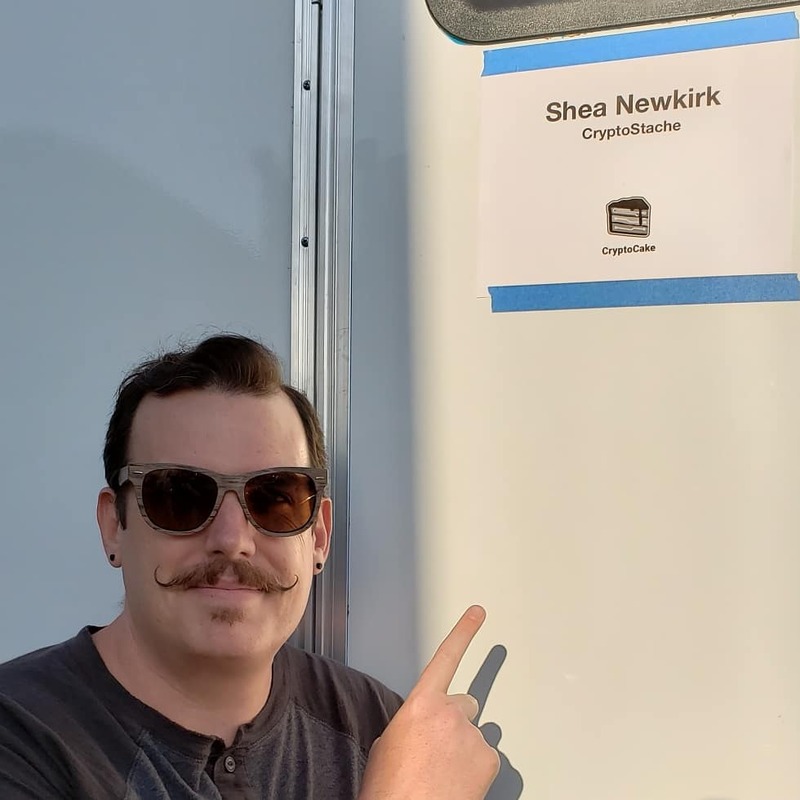 You can see us on set below, shooting, with the producer, and my trailer with my name on it! I can't get into to TOO much detail about it (you will have to wait until World Crypto Con to see more! 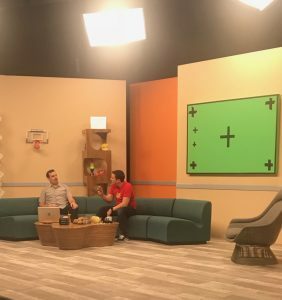 ), but shooting the show was a ton of fun and they even flew BitBoy (also a fellow Satoshi Dropper) out from the East Coast to shoot his own show too! I got to hang out with BitBoy before I shot my pilot with CryptoSanity and we grabbed some Umami Burger since it was close to the hotel he was staying at. 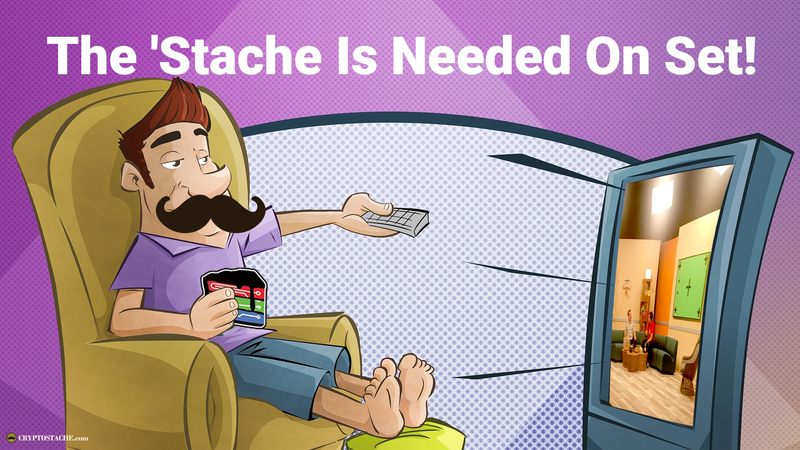 Is The 'Stache Coming To A Channel Near You? ?